Developed specifically for the research community, iThenticate compares written works against an extensive database of more than 45 billion web pages and 130 million content items, including restricted-access scholarly works that are typically outside the range of search engines. Within minutes, the service can identify similar or matched content, allowing authors to catch unintended duplication or uncited references prior to submitting a paper for publication. 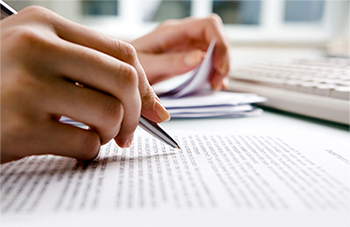 iThenticate can accommodate the average research article, thesis, or dissertation, up to 25,000 words. iThenticate does not store a copy of the document that is checked and will not check charts, figures, tables, images or other data sources for content. In an effort to safeguard academic integrity and prevent plagiarism, Graduate Studies now offers a limited number of iThenticate plagiarism detection licenses for use by dissertation advisors. The intended use of iThenticate is that of a teaching and advising tool, not a punitive instrument. Faculty who receive the licenses are expected to run theses and dissertations for their advisees through the iThenticate system. Students will not have direct access. The license can also be used to check any draft publication on which the faculty member is a co-author. Each license is issued to an individual user and remains valid for the remainder of the academic year. To request a license, email the Office of Graduate Studies at thesis@grad.gatech.edu , please include your name, GT email address, and department. 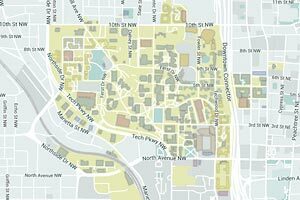 Licenses will only be provided to an official @gatech.edu address that belongs to a faculty member.